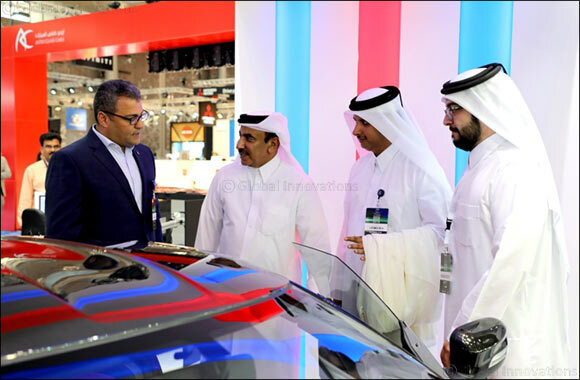 Doha, Qatar, November 05, 2018: QIC Insured, the personal insurance division of QIC and the official insurer of the Qatar Motor Show (QMS) attracted more than 10,000 visitors during the event. Held under the theme “Driving to Innovation”, the motor show also served as the launchpad for the all new QIC Orange – a scheme offering a no frills, low cost comprehensive car insurance in Qatar. Audiences of every age group gathered to meet, greet and take selfies with QIC Insured’s lucky mascot “Eddie the camel”, which was one of the highlights of the QMS. In addition, approximately 3,000 QIC Orange branded stress balls were handed out to the visitors during the show. Available exclusively through the online portal, qic-insured.com, the newly designed QIC Orange scheme offers customers low rates on comprehensive car insurance. Existing customers of QIC Insured can take advantage of the new scheme by simply renewing their pre-existing insurance policy online at an unbeatable low rate.